Thank you for your interest in Distribution Services. We are a third party logistics company, which means that you do not have to invest in staffing, equipment, real estate, or infrastructure costs. We have a the facility, equipment, and most importantly, the skilled associates to customize your products through the logistics process. At Distribution Services, we strive to provide the best in class logistics and superior customer service at a competitive price. Because Distribution Services is located in the heart of the United States, we are perfectly positioned to service your clients promptly and our transportation costs are some of the lowest in the country. Our success and growth are a result of many strengths, primarily flexibility and 'can-do' Associates. We will design a program that will meet your specific needs and do it at a competitive cost. Our can-do attitude means that your customer will receive the order timely, accurately, and with complete confidence making you look good. Our facility is tilt-up concrete construction and is perfectly located near Will Rogers World Airport, Interstate 40 connecting the east to west United States, and Interstate 35 providing complete service north and south. With high ceiling cube, bulk and rack storage, sprinkled and alarmed, your goods are safe, secure, and well organized. Our industrial slab is capable of supporting 50,000 pounds giving us the flexibility to meet any requirement. Distribution Services is a distribution warehouse and supply chain management company located in Oklahoma City, Oklahoma. 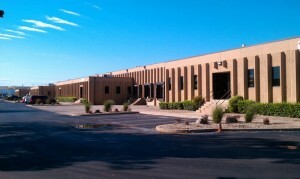 We offer warehousing and order fulfillment for a wide variety of customers across the country. We currently serve customers in many businesses including steel, wood, adhesives, retail and consumer goods industries. We utilize the best local and national common carriers in the industry to give our customers fast dependable delivery service at very economical rates. Distribution Services is an Oklahoma business that provides comprehensive distribution warehousing solutions to a variety of organizations around the United States. Our centralized U.S. location in Oklahoma makes our warehouse ideal and economical for shipping products anywhere in the country. Conveniently located at the intersection of Interstates 40 and 44, our commercial storage center is extremely efficient for transportation. Whatever type of warehousing and distribution services you need, we're up to the task. From small orders to large pallets, we can fulfill orders to your customers on time and within budget. Our services include crating, repacking, rail transportation, pick and pack, assembly and rework, reverse distribution, cross dock, inventory control and much more. If you will provide us with details about your inventory and distribution requirements, we will follow up with a project proposal that is simple and economical. Let us custom design a distribution warehouse management solution for you. Give us a call at (405)605-5331 fill out the form on our Contact page to have a representative contact you. We look forward to talking with you about your distribution services, warehousing, and logistical needs.